Fentanyl is an extremely dangerous drug that can be lethal in only very small doses. It is a serious drug that should not be taken lightly. In fact, this drugs is so powerful that it is up to 50 times stronger than even Heroin. However, studies show that Fentanyl use is actually on the rise across the nation. Because of this, the opioid death toll has also increased, becoming a significant problem that needs to be addressed. Because of this, law enforcement officials have been put on high alert. These officials have seized more and more Fentanyl each year due to the increased use of this drug. Here are some seizure instances across the U.S that prove Fentanyl use is becoming a prominent issue across the U.S. In 2016, the CDC reported that over half the opioid deaths were Fentanyl related. But how is this harmful drug getting into the US? Surprising, the US postal service is the main method of Fentanyl transportation. Because the Postal Service handles nearly 1.3 billion overseas packages each day, it is easy for some containing illegal substances such as Fentanyl to slip through. JFK alone sees shipments of up to 1 million packages a day they must handle. A lot of packages of Fentanyl that slip through the Postal Service come from China as this drug is manufactured in several labs across China. It is such a strong drug, that a high profit can be obtained, making it a popular, yet dangerous drug sold on the street. This is why seizure rates around the U.S. have been rising and are on the path to continue to rise even this year. Shockingly, the Midwest has had one of the highest Fentanyl seizure rates across the country. In fact, recently, Nebraska police officers seized an enormous amount of Fentanyl measured at a hefty 118 pounds of pure substance. Initially, this white, powdery substance was believed to be cocaine, but was later discovered to actually be Fentanyl. Such a large stash was valued at over 20 million dollars worth of product with enough power and potency to kill over 26 million people. These results are staggering, showing the powerful nature of Fentanyl. It is not a substance to mess around with. If you or someone you love has a Fentanyl addiction problem, seek help right away or it could cost you your life. Fentanyl Rehab facilities have qualified professionals and excellent services to help overcome addictions. 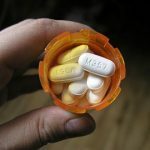 Eastern parts of the United States such as New York and New Jersey have also seen a rise in Fentanyl use and seizures. New Jersey, in particular, had one of the largest Fentanyl seizures for the Eastern US. Two men were found in possession of approximately 100 pounds of Fentanyl. This took place in June of 2017 and was one of the largest seizures in New Jersey on record. 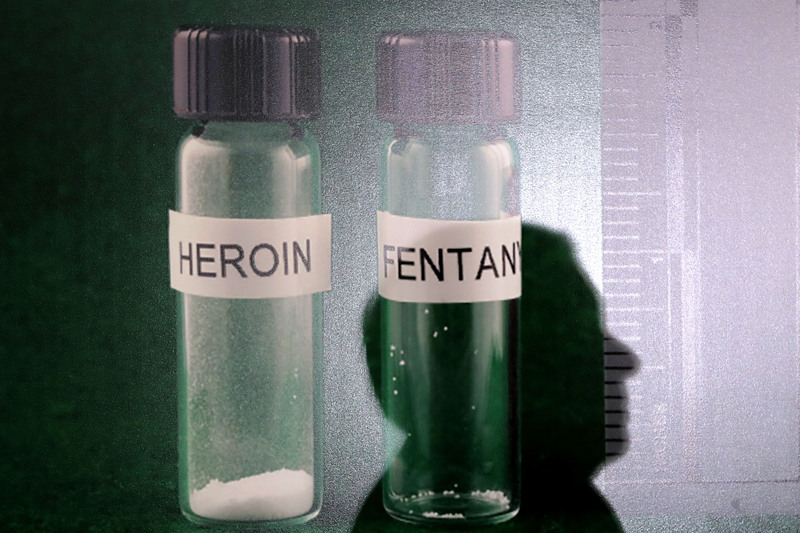 There were nearly 18 million doses of lethal Fentanyl seized that could kill both the population of New York City and New Jersey combined. This attention-grabbing statistic is proof of the dangers of Fentanyl use. Now, more than 33% of other drugs, most commonly heroin, are laced with this dangerous drug, leading to an increasingly high rate of overdoses. Don’t risk lethal doses of Fentanyl, or any drug for that matter. Take your life back before it’s too late and contact an Opium rehab center in Texas. Rehabs on the East Coast are ready and waiting to help you or a loved one break free from Fentanyl addiction. Another statistic that shows increased Fentanyl use in the United States comes from the U.S. Customs and Border Protection Office. Their offices state that in 2013, only 2.4 pounds of Fentanyl were seized by the CBP, whereas the number jumped significantly to over 71,000 pounds in 2017. 2017 seizures more than doubled that of 2016s, increasing to 951 total pounds seized of Fentanyl trying to make its way into the states. 2018 isn’t looking much better. It’s only halfway through the year and already 934 pounds of Fentanyl have been seized by the CBP. The rise of Fentanyl use alone or in other drugs is truly shocking and dangerously high. There has never been a more crucial time to seek help for addiction from an Opium Rehab. 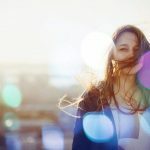 In fact, Summer Skye 30 day drug rehab program in Texas is one of the most reputable Opium Rehab facilities in the area, having helped thousands of people find hope and overcome substance abuse. Don’t become part of the rising statistics, but seek the necessary help you need to fight opioid addiction.